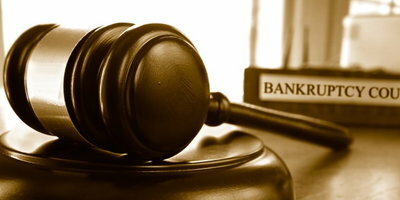 A Chapter 13 bankruptcy involves committing to a repayment plan with your creditors over a three- or a five-year period. That's a long time, and you may find that you need to finance a vehicle before it's discharged. 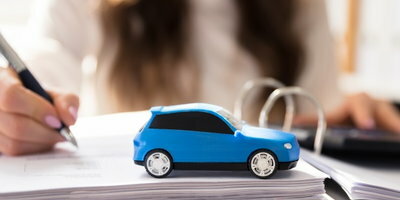 It's possible to get approved for an auto loan during a Chapter 13 bankruptcy, but there is a procedure that must be followed. Here is an inquiry we recently received from a potential applicant. "My wife & I are in a Chapter 13 and we need financing for a vehicle. I called my attorney to find out what we need to do and they said we have to have a statement showing an approval amount that we will be financed for. Anyway can you help us out?" When you need a car during a Chapter 13, you need the court's approval. In order to get that, you need to follow a number of steps. 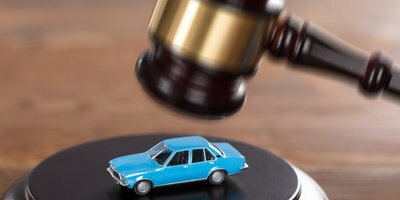 Let's run through the process of buying a car during Chapter 13 bankruptcy. The first thing you need to do is find a lender that will finance you. You can try to get financed with a bank or credit union, but traditional lenders rarely work with bad credit applicants. Your best chance of getting approved is with a subprime lender. They are willing to look past credit issues in order to finance consumers, even those who are in a bankruptcy. However, these lending institutions are almost always indirect lenders, meaning they only loan money through car dealers who act as their agents. Special finance car dealerships are signed up with these kinds of lenders. These dealers are trained and practiced in helping borrowers in a bankruptcy. Therefore, you stand the best chance of being approved with one of them. You can work with the finance manager at your dealership to select a vehicle that falls into your price range. 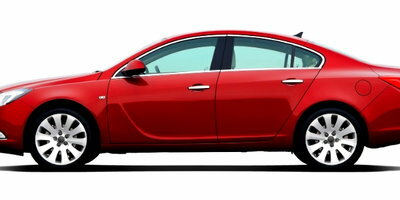 Now, you need to get a sample financing contract or statement from the dealership. This will list information on the car you plan on buying, the price, loan terms, interest rate, monthly payment amount, etc. During this step, there are two things you are going to want the dealer to include on the sample financing statement. 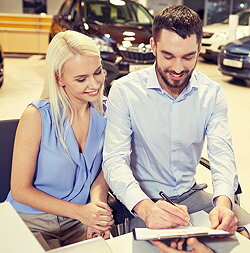 Have the dealership list "or similar" next to your vehicle choice and write down the highest possible interest rate you could potentially receive. The reason for this is that the process of getting approved with the court can take some time. The car you had your eye on may be gone by the time you get the green light. Also, your motion can be rendered invalid if the interest rate you actually qualify for is higher than the one listed on your sample statement. Taking these two precautions will prevent you from having to start the process over if things go wrong. Next, you need to take your sample financing statement to your court-appointed trustee. They will measure how much debt you're taking on against the potential impact it will have on your Chapter 13 repayment plan. You will be asked to complete some paperwork for the trustee. Most of it will deal with the reasons why you need a vehicle. You need to be able to show the court that getting the car is necessary. Your trustee will determine if the transaction is acceptable or not. Also, he or she could potentially make adjustments to your repayment plan if needed. Then they'll take it to court. 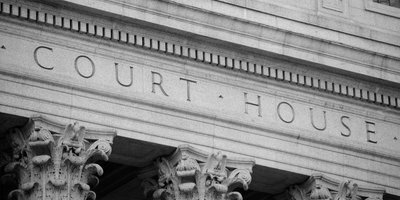 Your trustee will file your petition to incur additional debt with the court. This will be sent to the creditors and other parties involved in your Chapter 13 repayment plan. Therefore, they will be given the chance to object the motion. After your motion is filed, you may or may not have to appear at a hearing. But if none of your creditors object, it's possible you will not need to attend. The final step: the court will make their decision. If your motion is approved, you can head back to your dealership. 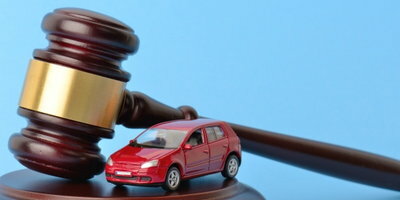 You can present them a copy of the court's order and move forward with the loan and car buying process. Oftentimes, the hardest part of getting approved for a bad credit auto loan is finding a dealership that can help. But Auto Credit Express has simplified that process with our nationwide network of special finance dealerships. We can get you connected with a local dealer free of charge. That's right, our service is free and it puts you under no obligation to purchase anything. Get started right now by filling out our simple and secure online auto loan request.